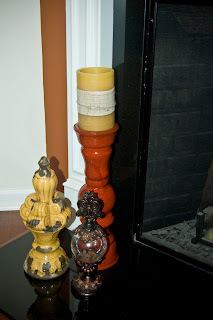 For years, I've wanted to paint my living room orange. A dark orange. A spicy orange that makes you smell pumpkin pie whenever you look at it. I love fall colors. My favorite color is even orange. 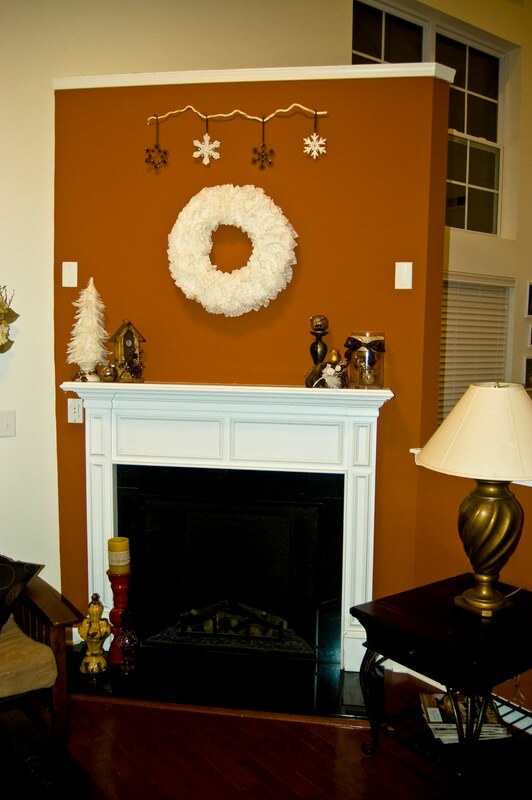 I've been using a fall-like color scheme in the living room for awhile, but I could never commit to orange walls. Orange is bold. Orange stands out. 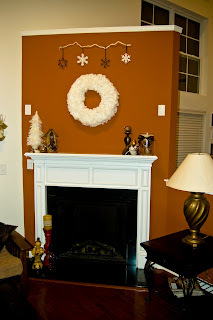 I finally decided to paint the short wall around the fireplace. I thought about orange and dreamed about orange, but whenever I looked at paint samples, I shied away from it. On Saturday, I took the girls to a birthday party and had 30 minutes to kill before it started, so we went into a nearby Lowe's to look at paint colors. I picked up the orange shades, then put them back. "Maybe I should just do a brown. It would go with more. Or a red-tone." "If you don't paint it orange, you'll never be happy," my wise 10-year-old told me. So yesterday I went in and picked out a dark orange paint color. A furious debate raged inside even as I presented it to the clerk to mix up. There were other colors. Safer colors. After all, what about Christmas? Orange would look terrible with red and green. But I put in my order, wondering if the clerk thought I was weird for picking a color called "Bountiful Harvest". Getting the gallon in my cart was a small triumph. 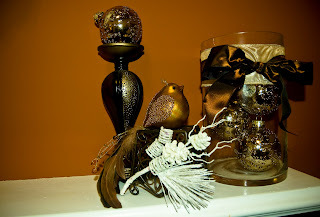 I bought the paint and I picked up a few little accessories because I had figured out how to make an orange wall work for Christmas decorations. 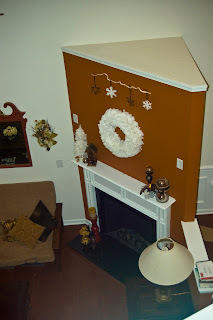 So I painted the short wall around my fireplace and the short half-wall attached to it and I. LOVE. IT. 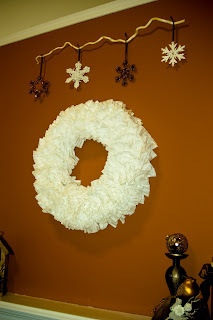 I love the fluffy wreath I made and the glittery snowflakes I hung above it. 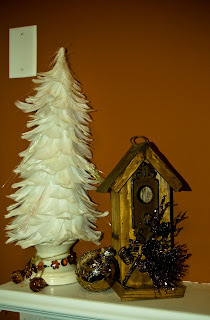 I love my feather tree and the dark glittery branch dressing up my birdhouse. I love this little orange bird. I love the huge candlestick my parents bought me for my birthday. My orange wall is exactly everything I dreamed it would be and it makes me so happy.